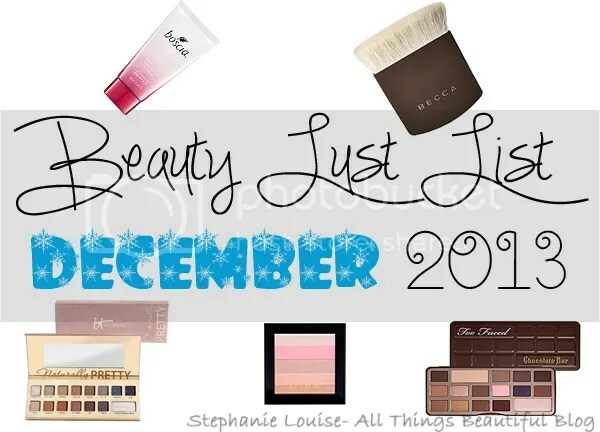 December 2013 Beauty Lust List + Update featuring It Cosmetics, Boscia, & Blogger Enablers! Is it really almost 2014? How does time keep flying by so fast? The holidays were wonderful & I even took a much needed blogging break. Boy was it nice to get away from the computer! Plus tons of shopping! Check out what I’m lusting after, what I got off my list from last month, & which bloggers/vloggers have me yearning for new beauty finds! From my November 2013 Beauty Lust List which you can see here I actually ended up with four out of six products! I absolutely caved but it was the holidays…there were sales! I just couldn’t help it! I ended up picking up the The Tarte of Giving Collector’s Set & Travel Bag, Cargo Let’s Meet In Paris Eye Shadow Palette for Christmas from my husband, Stila Color Outside The Lines Smudge Stick Waterproof Eye Liner Set & the Urban Decay Naked 3 palette…because I have about no self control. Clearly. 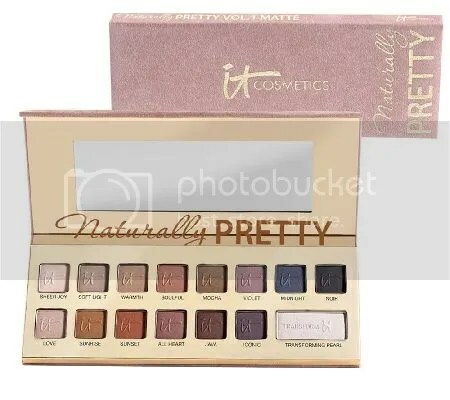 It Cosmetics Naturally Pretty Vol 1 Matte Luxe Transforming Eye Shadow Palette– Oh palettes…how you steal my heart! I’m a huge fan of It Cosmetics (just type it into my blog search bar for past looks & reviews!) & I desperately want to get my hands on this new palette! I’ve heard nothing but great things about It Cosmetics eyeshadows but have never had the opportunity to try them myself. I love that all of the shades are matte except for one “pearl transforming” shade which makes this palette crazy versatile! I really, really need this! 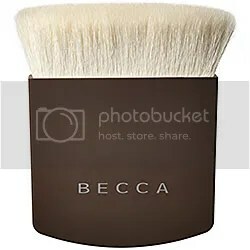 BECCA The One Perfecting Brush– Basically…this brush is supposed to do everything. Like everything. It might even work mind control. “It can be used effectively as a foundation brush, powder brush, contour brush, bronzer brush, stipple brush, blush brush, fan brush, concealer brush, kabuki, or sponge.” Yes, all of that. I’m looking forward to reading tons of reviews & seeing video demos because she is a bit pricey! 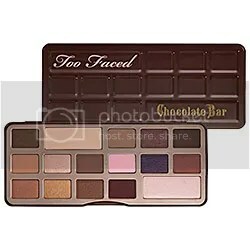 Too Faced The Chocolate Bar Eye Palette– Another palette…stop rolling your eyes! Lots of neutrals & formulated with cocoa powder for that chocolate experience? Yes, why yes I am interested! Although mainly neutral there are a few cohesive colors. I’m still needing to mull this one over & possibly visit it in store! Revlon Highlighting Palette in Rose Glow– Out of the three color options available currently from the new Revlon line, Rose Glow definitely appeals to me most. Bronze & Peach are both lovely & I might pick up Peach for the summer? But the pink tones remind me a lot of the gorgeous Physician’s Formula Shimmer Strips I adore except I’m much more likely to use these on my eyes as well. Excited to finally play with these in person! 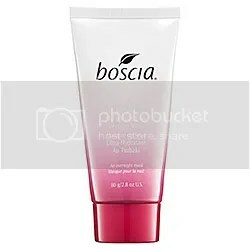 Boscia Tsubaki Deep Hydration Sleeping Mask– This must be a new mask because I’m sure I would have sampled it by now! ” A deeply-hydrating overnight sleeping mask that intensely moisturizes and protects to deliver long-term antiaging benefits and smoother, baby-soft skin.” My very dry skin is kicking me for not getting this before the holidays! It has been so dry & windy here…I just can’t imagine a mask doing everything I want overnight! Too exciting! Plus, my skin tends to get along really well with Boscia. The blogs I read & videos I watch that constantly leave me wanting to splurge on beauty. Pink Sith Blog– This is less of a “I NEED TO BUY THAT!” & more of a It is perfectly okay for me to wear that daily type of thing. She posted about her favorite cold weather fragrances here & I’ve been wearing Flowerbomb nearly nonstop. I just can’t get enough! & clearly if Pink Sith approves that is totally okay. My Beauty Bunny– Jen has created her own beauty product & I can’t wait to try it for myself! She has created an AHA moisturizer that is all-natural, cruelty free, vegan, GMO-free, paraben-free, sulfate-free, triclosan-free, artificial fragrance-free, gluten-free, and petrochemical-free! Check out her post with tons of details here! I’m too excited about it being able to even out skin tone too! The PolishAholic– Dandy Nails isn’t a brand I’ve tried or really seen around much but these swatches totally blew my mind! Holo-heaven! I definitely need to check into this brand & as always her swatches are fantastic so check them out right this minute here! So there you have it! I did tons of shopping the past two months…probably why my list isn’t currently a million miles long! How about you? Anything fabulous I need to check out? Tell me about it below in the comments! Beauty Box 5 for December 2013 featuring NYX, Clean & Clear, & More! Birchbox for December 2013 featuring Secret Agent Beauty, Fortune Cookies, & More! Ipsy Bag for December 2013 featuring NYX, Pop Beauty, & More! Beauty Box 5 for April 2013 featuring Model Co, Brazen Cosmetics, & More!